Bhuiyas, numbering around two million, are the aboriginal tribes of Central Hill Belt of India. These primitive Pauri or Hill Bhuiyas of Keonjhar, Bonai and Pal Lehera states, and the Hinduized Bhuiyas of Himgir and Nagra of Gangpur State of Orissa in British India are the subject of this study, delineating their various stages of cultural development over a period of time. These Bhuiyas are comparatively more primitive in their customs and manners than the other sections of the tribe. But their contacts with the Hindu society and its culture have to a minimal extent modified their primitive culture. With the advent of cultural growth, some sections of these Bhuiyas have given up their honorific titles and adopted some Hinduized titles, to elevate themselves in the social hierarchy. This book, a gold mine of socio- anthropological studies, offers much- needed details about the Pauri Bhuiyas' affinities and population, habitat, physical and mental characteristics, economic life, social and kinship organizations, and customs of birth, childhood, puberty, marriage, inheritance and death. This volume also delves deep into their folklore, religious faith, superstitions and magic practices. It further discusses certain points of agreement and difference in the customs and beliefs of the Hill Bhuiyas and some other Munds-speaking tribes of the Central Hill Belt. Sarat Chandra Roy (1871-1942), popularly known as S.C. Roy, was a popular cultural anthropologist. He was deeply involved in studying the ethnography of the aboriginal tribes of Central Hill Belt of British India. His serious involvement in ethnology made him the first Indian to be elected to the Folklore Society of London as an honorary member. Many more recognitions came on his way. "Kaisar-i-Hind Silver Medal" and "Roy Bahadur" are some 0 them. Deeply known to the life and culture of the aborigines, he authored five books on different tribals such as: The Mundas and Their Country, The Oraons of Chota Nagpur The Bihors, Oran Religion and Customs, and The Kharias (2 vols. ), in addition to the present title. 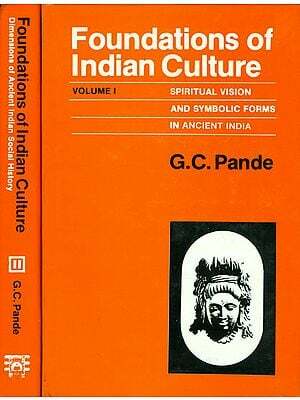 He also started an anthropological journal, Man in India (an ongoing journal) and edited it for a long time. The present work is the fifth volume of a series of monographs on the aboriginal tribes of the Central Hill Belt of India, whose ethnology I have been engaged in studying, off and on, for the last twenty-five years. The Bhuiyas are one of the few tribes whose different branches represent various stages of cultural evolution from the more or less primitive culture of the Hill Bhuiyas dealt with in this volume to the thoroughly Hinduized zamindar families among the Plains Bhuiyas of Orissa and elsewhere, some of whom now put forward pretensions to Rajput or ksatriya descent. References have been made in the text to certain points of difference in custom and belief between the Hill Bhuiyas and the Hinduized Plains Bhuiyas. In the footnotes references have also been made to certain points of agreement and difference in the customs and beliefs of the Hill Bhuiyas and some other Munda tribes of the Central Hill Belt. In the preparation of this work, I am particularly indebted to successive Political Agents of the Orissa Feudatory States and their successor the Governor-General's Agent, Eastern States, for kind permission to work among the aborigines of the States, and for introducing me to the State authorities. My grateful thanks are due to the Feudatory Chiefs of Mayurbhanj, Keonjhar and Bonai for their kind hospitality and for giving me the needed facilities for my work. I also desire to convey my best thanks to Dr P.K. Sen, Bar-at-law, Dewan of the Mayurbhafij State, and Mrs P.K. Sen, Rai Bahadur J.K. Tripati, Dewan, and Rai Saheb S.B. Sarkar, Civil Judge of the Keonjhar State, Mr H.D. Christian, Superintendent of the Gangpur State and Mr. Harihar Sahay, Munsiff of that State, for their kind hospitality and help. To my son, Ramesh Chandra Roy, M.Sc., B.L., who assisted me in my investigations, I owe him for the photographs and the anthropometrical measurements and their analysis. This edition has been typeset afresh to put appropriate diacritical marks on the Indic words and to remove typos in the previous edition. The usage of latest technology in typesetting has helped us to reduce the page numbers of this monograph and to make it economical. We have provided the page number of the previous edition in the left-side margin in each page, enabling the reader to check the previously cited references. THE Bhuiya tribe, although numbering less than two million souls, has a very wide distribution. They are spread over more than half a dozen Provinces of India. They are found in varying numerical strength and social status in Bengal, Bihar, Orissa, Chota-Nagpur, Assam, the United Provinces, the Central Provinces, Central India Agency, and the Madras Presidency. Their principal stronghold at present is in the northern Tributary States of Orissa. Here we may study them in various stages of cultural development, from the almost primitive Pauri or Hill Bhuiyas of Keonjhar, Bonai, and Pal Lahera states to the thoroughly Hinduized Bhuiya zamindar families such as the Garhatia family of Himgir and the Mahapatra family of Nagra in the Gangpur State and some others, and the Paik Bhuiyas or Khandait Bhuiyas and Rajkuli and Praja Bhuiyas, who hold intermediate positions. According to Risley. "Some of the leading Bhuiya families have come to be chiefs of the petty states of Orissa, and have merged their identity in the claim to quasi-Rajput descent." The Orissa states form the centre of the southern section of the tribe, whereas the Chota-Nagpur, district of Hazaribagh and the Bihar district of Gaya form the centre of what may be called the northern section of the tribe. The Pauri or Pabri or Hill section of the Southern Bhuiyas are, as I have said, comparatively more primitive in their customs and manners than the other sections of the tribe. But even among the Pauri Bhuiyas, contact with Hindu culture has, to not a little extent, modified their primitive culture It is with these Hill Bhuiyas that the present volume deals. I hope to deal, in a future volume, with the Plains Bhuiyas of Orissa as well as the northern section of the tribe. The name "Bhuiya" and its variants "Bhumia", "Bhuihar” "Bhuiyar", "Bui" or "Bhui", etc. are all derived from the Sanskrit word Bhumi meaning "land". One or other of the variants of the name appears to have been applied, in different parts of India, to widely separated communities, either in the sense of autochthones or children of the soil (bhumi or bhui). or in the sense of reclaimers or owners of the land (Bhumihar) or as implying some connection with land (Bhuiya). B.c. Mazumdar, an Indian writer of some reputation, in an article published in 19072 explained the name by saying that the Bhuiyas were so called because they were owner or "masters of land" (bhui). But in the same article he also writes. Even the thoroughly Hinduized Bhuiyas of Bamra tell us in giving their history and origin that it was Mother Earth who brought forth their first ancestor. In his later writings," however, he opined that the original name of the tribe was "Bhaiyan" which was rendered into "Bhuiya" by the Hindus. The reason he assigns for this view is that in the Buddhist work called Majjhima Nikaya, the tribe is mentioned as the "Bhainyans" or "Bhayans" of Ukkala Bassa (i.e. Utkal or Orissa). Some pre-Aryan communities of India who call themselves by such titular names as Paik (soldiers) or Khandait Paik (swordsmen) in Orissa, Ghatwar or Ghatwal (guard of the hill passes) in the Hazaribagh District of Chota- agpur, Tikait (invested with the tika or mark of investiture of landlordship) in the Santal Parganas, and so forth, now resent being called "Bhuiyas", although cogent reasons appear to exist for regarding them as genuine tribal Bhuiyas in origin. says that both they and he are Bhuiyas and descended from the stock; but that the Tekoits and their kindred are of higher rank, and greater purity. He says the proper name of the tribe is Raj Bhuiyas. Those who are rich have brahmana purohits (priests), but the poor content themselves with purohits of their own who pray to the Sun and to Bosomati. They eat fowls, goat, swine, but not beef, and drink spirituous liquors. In the evening I was visited by Obadut Singh, Tikayit of Domni (Dhamni) to whom all the country on this side of the Suknar belongs. He calls himself a Surajbansi Rajput, and such of his people as live pure are called Ghatwals. Those who adhere to their old impurity, and eat beef, pork, fowls and every other abomination are called Bhungiyas." Their Chiefs make the usual ksatriya pretensions and calling themselves Surajbansis disclaim connection with their Bhuiya kinsmen. But the physical characteristics are all alike Dravidian, and in Captain Brown's time (1772-78) the chiefs never thought of claiming to be other than Bhuiya The highest chiefs of the Bhuiyas are called Tikaits, and are supposed to have the mark of royalty. Inferior chiefs are called Thakurs. and the younger members of noble Bhuiva Families are called Babus. If some sections of the Bhuiyas now disclaim the tribal name and assume names indicative of a higher social status befitting .7 their present improved position in life, there are others who, sunk lower in social position than most of their congeners elsewhere, deem it a point of honour to call themselves by their real tribal name of "Bhuiya", Thus, the large pre-Aryan and pre-Dravidian population scattered all over Bihar and designated by their neighbours as Musahars (lit., rat-killers or rat-eaters), who, however, are but a degenerate section of the Bhuiya tribe, insist on calling themselves by no other name than that of "Bhuiyas". Buchanan in his Gaya Journal, under date 18 February 1812, writes of village Arkal (Arwal) "Many Musahars here; they are called Bunghiyas. :" To this day, as I have said, most Musahars, as they are called by their neighbours, call themselves Bhuiyas.